Premier League Top Four - Who Qualifies for the Champions League? 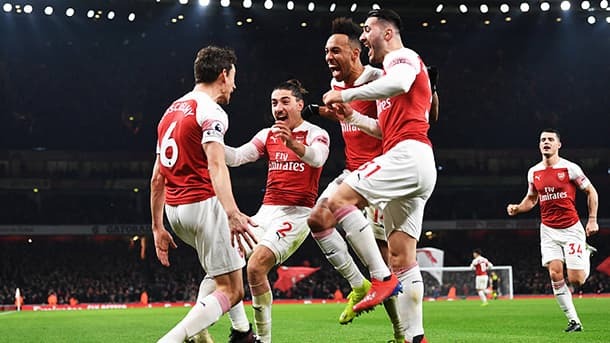 The excitement of the English Premier League 2018/19 season is put on hold for a week as the FA Cup 4th Round takes centre stage. It seems a good time to examine where some of the contenders stand in relation to that crucial Top 4 finish and Champions League football next season. As always it’s probably worth pointing out that finishing in the Top 4 doesn’t quite guarantee the prize of Champions League football. There is a scenario, remote but not impossible, where 4th place could miss out and end up in the horrors of the Europa League. Get the best odds in the English Premier League with our selected bookmakers below. The issue could arise if both this seasons UEFA Champions League and Europa League competitions are won by English teams. The winners of both competitions are guaranteed entry into next seasons Champions League. However if both winners also finish outside the Top 4 then the team who finishes in 4th place will miss out. UEFA have a maximum limit of 5 teams per association (league) in the Champions League. How likely is it to happen? Well it’s a long shot odds-wise but by no means impossible. I’ll work on the basis that Manchester City and Liverpool are safely going to finish in the Top 3 so we can leave them out of calculations. Tottenham Hotspur are 25/1 26.00 +2500 25.00 25.00 -0.04 to win the Champions League and 7/2 4.50 +350 3.50 3.50 -0.29 to finish outside the Top 4. Manchester United are 33/1 34.00 +3300 33.00 33.00 -0.03 to win the Champions League and 53/100 1.53 -189 0.53 -1.89 0.53 to finish outside the Top 4. One of the above would have to happen. Chelsea are 4/1 5.00 +400 4.00 4.00 -0.25 to win the Europa League and 7/4 2.75 +175 1.75 1.75 -0.57 to finish outside the Top 4. Arsenal are 6/1 7.00 +600 6.00 6.00 -0.17 to win the Europa League and a long odds-on 1/5 1.20 -500 0.20 -5.00 0.20 to finish outside the Top 4. One of the above would also need to happen. So as we see it’s a serious runner to happen in the Europa League. Not quite so likely in the Champions League but still something worth bearing in mind as the season enters a crucial phase. It would be a terrible way for a team to miss out. The table from 3rd to 6th currently reads as follows. As we can see it’s a tight contest amongst these four teams. 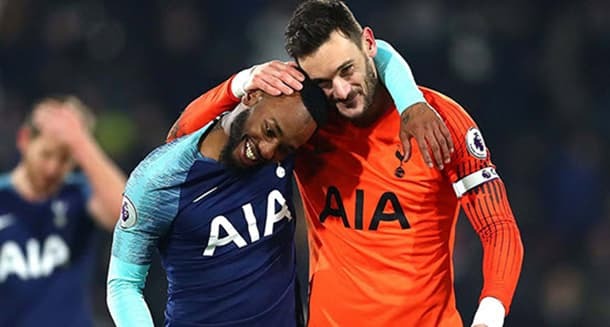 Tottenham Hotspur should have enough about them especially as they have a remarkable record of not drawing games. Consistent wins against the lesser teams will get the job done. The major negative is the injury situation. They will need their talisman Harry Kane back as soon as possible. However he tends not to hit the ground running so it may take 2 or 3 games for him to get up to speed. Another potential concern is that progressing in all the cup competitions could cause a fixture congestion issue. Manchester United fans will be wishing the club had made the Jose Mourinho decision a few weeks earlier. Crucial points were dropped in draws at Southampton and at home to Crystal Palace and Arsenal in the last month of the Jose reign. Different results here would have put MUFC comfortably within the Top 4 and on the fringes of the title race itself. As it is they are motoring up the table and Top 4 now looks a real possibility. It remains to be seen how the players react to the inevitable first bad result under Ole Gunnar Solskjaer. Chelsea started the season well under Maurizio Sarri but recent signs are not encouraging. Some disappointing results in the last month, and the players seem an unhappy bunch yet again. Trips to Old Trafford, Anfield and The Etihad are on the horizon and they may well miss out on Top 4. The impending Gonzalo Higuain loan signing seems a bit of a desperation punt. The Arsenal faithful are unsure what to make of Unai Emery’s first season. Huge problems clearly remain in defence but there have been definite improvements across the rest of the pitch. A decent enough fixture list (they have played Chelsea and Liverpool twice already) gives them a shot at further progress up the table. There is always a risk that the Europa League may take priority at some stage but they look a punt at a tasty 7/2 4.50 +350 3.50 3.50 -0.29 for a Top 4 finish. If one of the ‘Big 6’ win the the FA Cup then 7th place will get a spot in the summer qualifying rounds of next seasons Europa League. Whether this is a booby prize or something worth fighting for is always open to opinion. Regardless it’s an interesting betting heat this season. Much more so than the Top 4 fight. It’s a shame that only BetVictor have priced it up. As these are mid-table or lower teams they all have their flaws which I won’t go into individually. I’m going to take a small stakes punt at a big 51.00 on Southampton. They are doing a lot right under their new Austrian coach Ralph Hasenhüttl. It’s a difficult task as they have 11 points to make up on the likes of Wolves and Watford. However the run-in can be strange as teams often switch off as end of season approaches. A top half (top 10) finish at 12/1 13.00 +1200 12.00 12.00 -0.08 is more realistic and seems a touch of value as well. 45 points was enough for Top 10 the last two seasons. 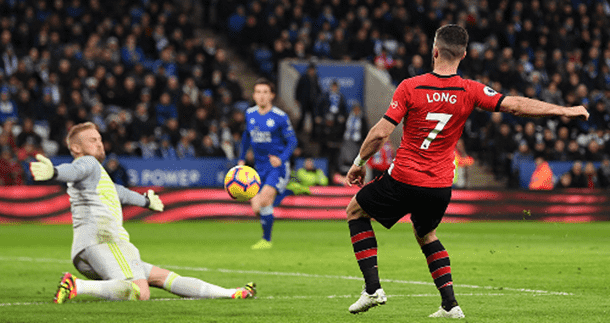 Southampton are on 22 points but their next three games (Palace H, Burnley A, Cardiff H) offer them a great chance to make inroads into that sort of target.